By sharing your Tri-County Literacy Council experience and providing a testimonial (written article or recording), you can make a difference in these people’s lives. What you have to say about the training you received, your teacher, or the agency may be the deciding factor in whether they will contact us or not. Help them meet their goals and take advantage of this valuable FREE training. We invite you to provide feedback using the form at the bottom of this page. Depending on the information you provide, a testimonial may be developed (like those below). You can also email a photo of yourself to the Business Development Coordinator, if you like. We also welcome audio testimonials. If you would like to show your community support and promote literacy by providing an audio testimonial, simply record your message using your home computer and microphone, then email it to the Business Development Coordinator or book an appointment to do this at our office. Your valuable feedback is much appreciated. Brandon’s Message: Brandon wants you to know that you’ll enjoy the training at the Literacy Council. Darryl’s Message: “I am relatively new to Cornwall (just over a year now). During this year, I had a very hard time finding work on my own and was starting to fall into a rut and give up. Then one day, I got a call from my Ontario Works counsellor telling me about a FREE course at Tri-County Literacy Council for Warehouse Worker. I immediately jumped on the opportunity. But what would happen next was more exciting. 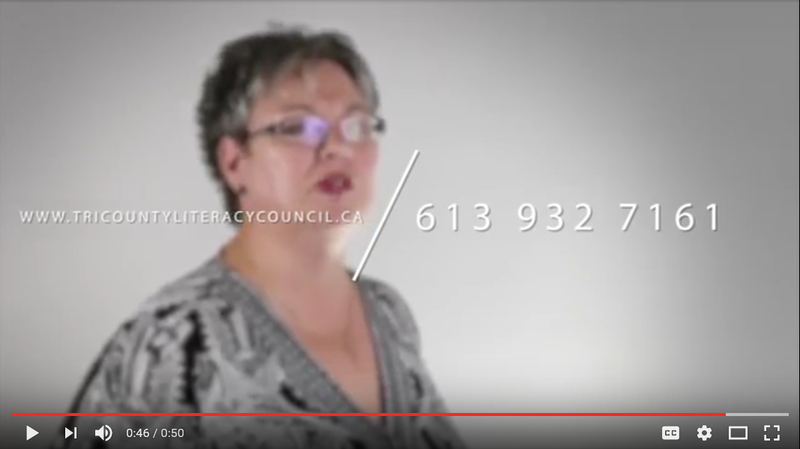 After just a few days, I knew the Literacy Council was the place for me. After a few weeks, my transferable skills began to sharpen and I was back with the program – mathematically and so on. For me, the course worked. If so, where are you working?